No, this is not a Christmas tree!!! But I love how it mimics the ‘winter wonderland’ feeling. 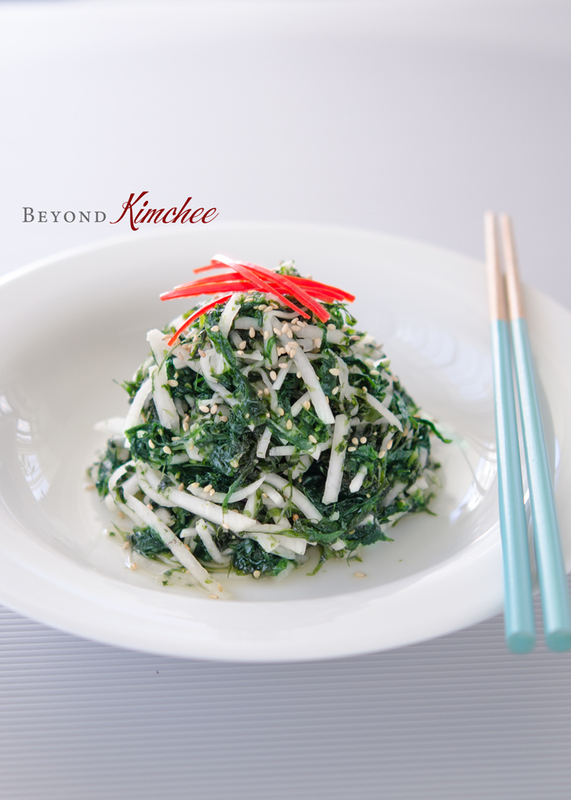 This is a simple Korean style seaweed salad with radish (파래 무 무침, parae moo muchim). 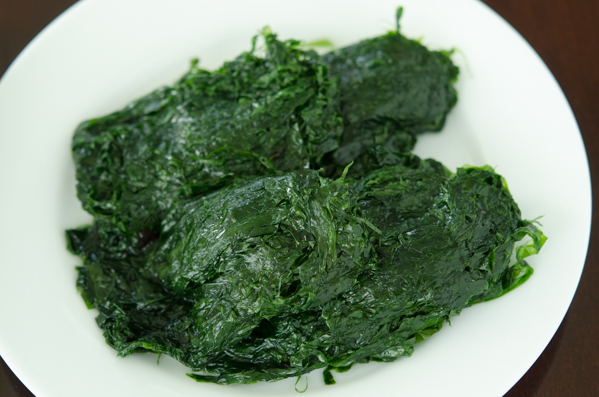 There are several different types of seaweed in Korea. I think most people know of the dried form of seaweed which you can easily find in many Asian stores. However, during the wintertime you might be able to find fresh kind, if you are lucky. This particular seaweed is like threads, quite thin. In fact, the thinner the better. I won’t talk about the health benefits of these amazing sea greens. You can probably tell by the color. They are refreshingly tasty to serve as a simple salad or a side dish. Usually fresh seaweed like this is most common in winter time. So if you happened to see fresh seaweed in your Korean grocery store (in either the fresh section or in the freezer section), grab a package and a small radish (or daikon) on your way out. The rest of the ingredients for this recipe are something you might already have in your pantry. 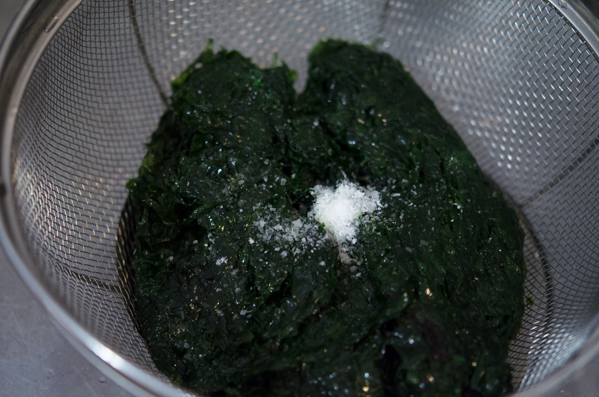 Here is the “Before” look of my seaweed. By the way, we call this Parae (파래)! It comes as a bundle like this and might carry a little ocean smell with them. Add a little salt and squish them here and there for a 1 minute. The salt will help eliminate the ocean smell of the seaweed. Rinse well, and squeeze out the water. Slice into 3-4 segments. Otherwise it will be nearly impossible to separate one strand of seaweed from another. Sprinkle with a little salt and sugar and let them soak for 10 minutes. They will become softened. Discard the excess moisture coming out of the radish. That’s it! The salad of Holly’s winter wonderland is ready to serve. You can serve cold or at room temperature. The beauty is that you can make this a few hours ahead of time. 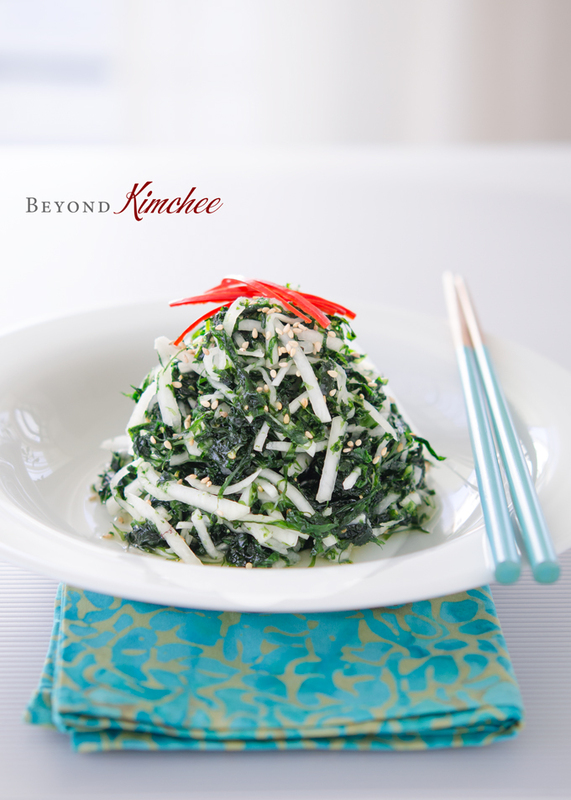 Enjoy this “Zen” like seaweed radish salad with a bowl of rice, and find the peace in your soul to sustain your day. The printable recipe is below! Hope you get to try this! 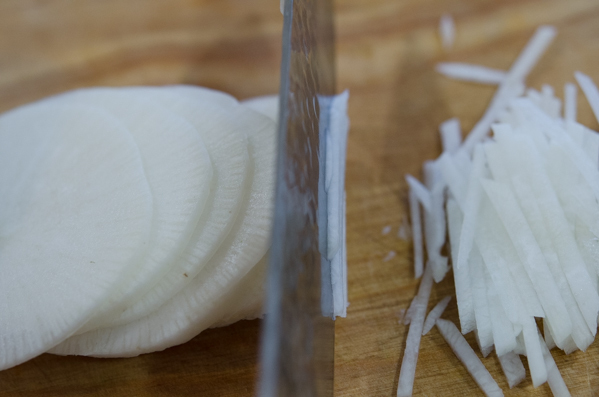 Cut the radish into very thin matchsticks. Place in a bowl and sprinkle 1/2 teaspoon of salt, and 2 teaspoon of sugar. Toss and set aside for 10 minutes. Discard the excess moisture. Set aside. 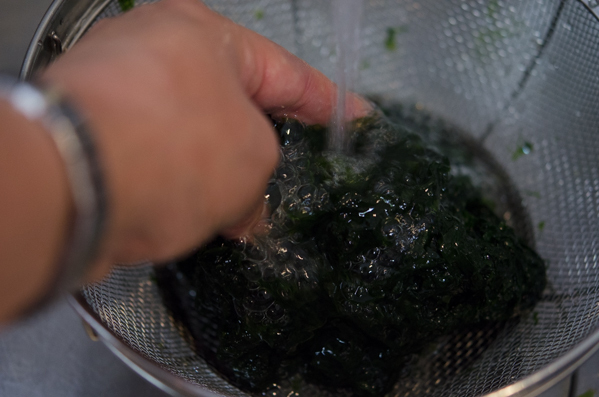 Squeeze out the water from washed seaweed. Cut into 3-4 segments. 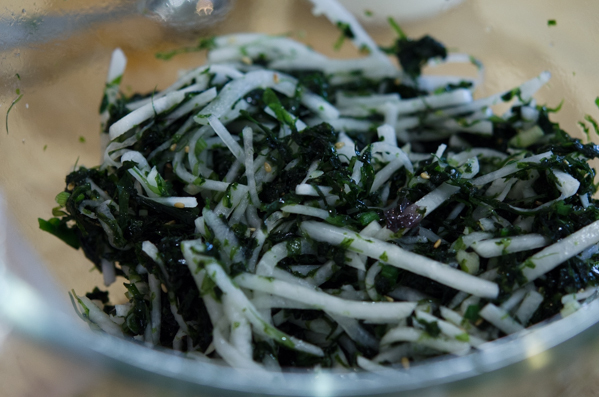 Combine the seaweeds with the radish, add 1-2 teaspoon of sugar, vinegar, Korean soy sauce for soup, sesame seeds, and garlic. 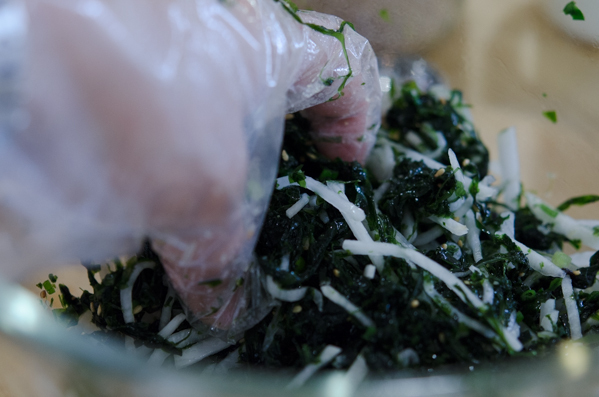 Toss together to incorporate the all the flavor together. Adjust the flavor according to your taste. Serve chilled or at room temperature with rice. I just discovered a nice little Asian market in my area last week. Since I love seaweed salad, I'll have to visit soon to see if they have the fresh variety. This sounds delicious. I've never come across fresh seaweed (except in the ocean). I can find plenty of dried seaweed at my favorite markets in Chinatown (here in Honolulu, HI). I'll have to look harder to see if I can find this (maybe they would sell some with the fresh fish). 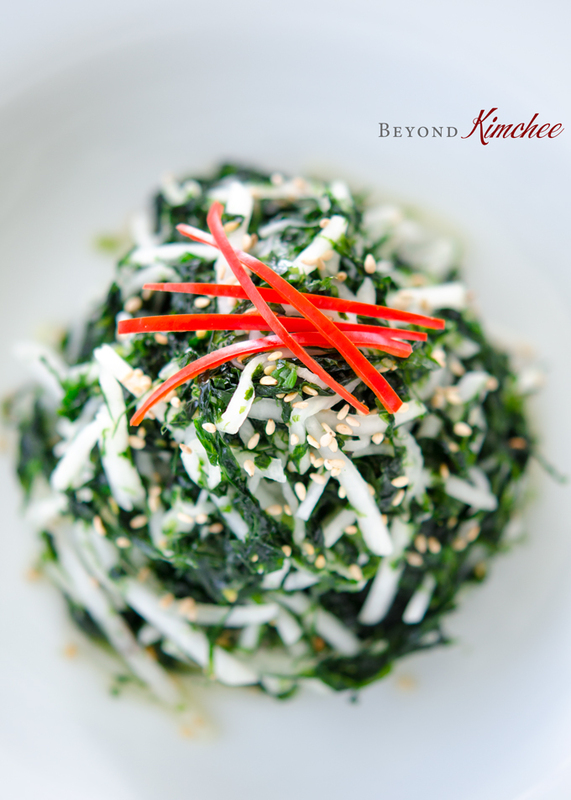 I love seaweed salad I've gotten at Japanese restaurants so I have to try this it looks great. 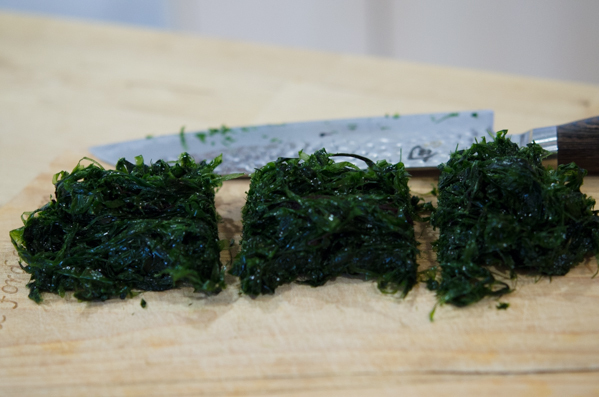 Even if you don't find the fresh seaweed, you can still used the dry kind. Just rehydrate them by soaking in the water and follow the same steps. They do look like a Christmas tree. 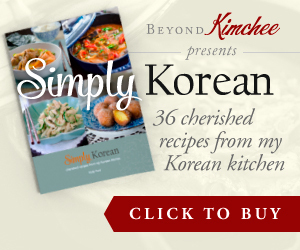 They're one of my favourite banchan and I haven't had them for years! Thanks for the reminder. ;) Love the vibrant photo! Thanks Sue, It's great to hear from you again. Hope you and your baby are doing great! 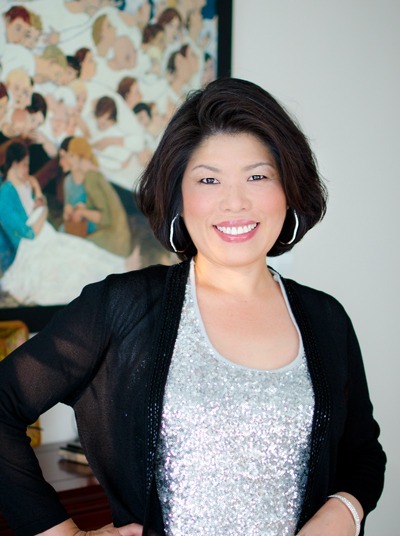 Dear Holly, it's always a pleasure to read your blog! The photos are awesome. I'm never confident working in the kitchen, but your recipes are so easy to follow, and the results amazingly good! My girl and I are suckers for seaweed, so can't wait to try this one! Thanks!!! So, I just finished my final forkful of the fresh seaweed salad and......omg....it was AMAZING!!! Luckily, there is a huge Japanese market just down the road from my house so there were many fresh seaweed products to choose from. I chose the non-farm raised seaweed from Japan. It was kind of expensive but the quality was beyond compare. Didn't quite know what to expect on that first forkful but, I have to say... I'm a believer! I urge everyone to try this recipe. You will love it, guaranteed! I'm going back to the market tomorrow to buy some more fresh seaweed. I could it eat every day for a week. Thank so much for sharing this recipe. That is just wonderful, Cheryl! So happy to hear that you loved it. 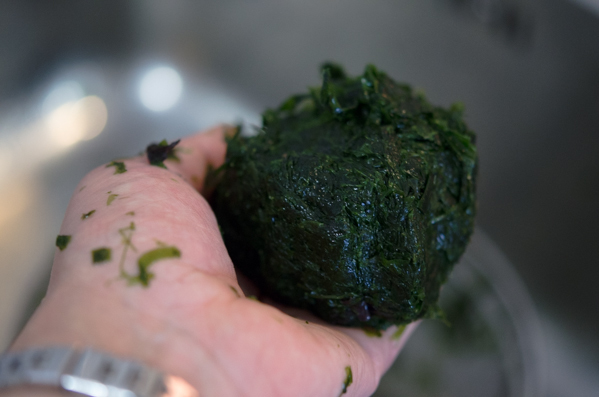 How nice it is to have the fresh seaweed products near you! Thank you very much!